QR Codes feature now live! 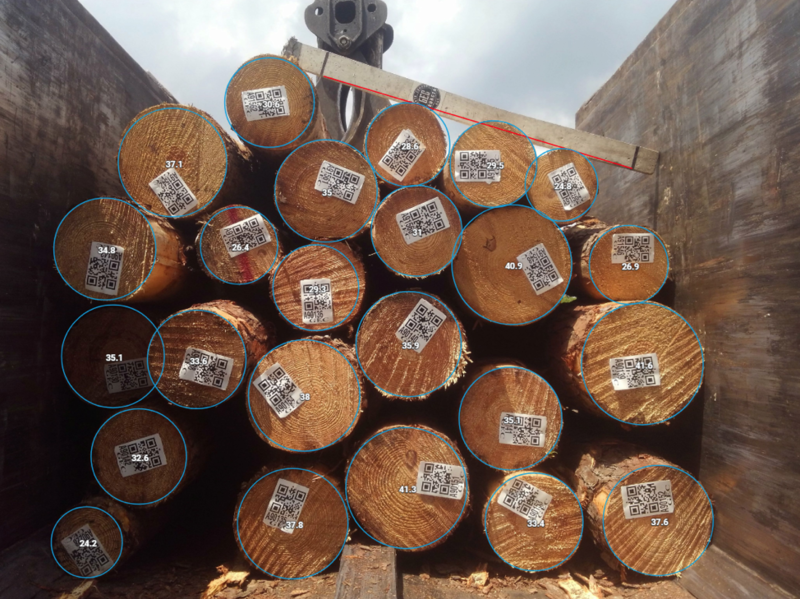 Timbeter Container recently released a new feature: QR codes detection. The new feature enables to detect the log diameters (log count, diameters, volume) and read the information from the QR codes and link these two together. The whole process takes less than 3 minutes. As usual, all the data is in digital form and the information about logs shipped in the containers can be shared quickly and effortlessly via a link. All needed information: number of logs, diameters of logs, volume, number of container and bill of lading is is available. No more lost information on papers, no more long hours spent on paperwork or data-compilation as all needed figures in a suitable format. Timbeter Container enables to start minimizing time spent on measurements and barcodes detection. All data is structured in the correct way (bill of lading- the number of containers – measurements). Possibility for human errors is minimized and data can be shared instantly. And important to mention: JAS, GOST and cylindrical volume calculation formulas are available in Timbeter Container. Download the Timbeter Container on Android and start measuring!